An easy & quick way to manage your daily finances, Checkbook Pro keeps track of your credit card charges, cash expenditures...etc. 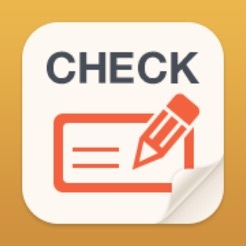 With Checkbook Pro application, it can totally replace your paper checkbook. You can create multiple accounts, save recurring transactions, transfer funds, view reports & graphs, export data...etc. You can even search the transaction by crossing your finger on the calendar! All details of the Checkbook Pro are well designed to provide excellent experience. 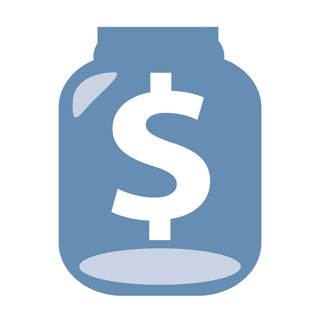 -Export your transactions by email for use of desktop applications such as Excel, Quicken...etc. I bought this application about five years ago. I upgraded to the pro version, and last year a new version came out that completely re-done the user interface. It added the ability to sync the checkbook between multiple iPhones or iPads. It said that I would not be charged again, however I was. But this application has been such a lifesaver that I did not mind paying the $4.99 again (and five bucks is not worth hassling the developer or iTunes about....unless the app sucked or was rarely used). Now, since the new update, I am a lifetime member because of my loyalty. It is well worth scrapping your paper checkbook register and using this. You will not regret it. You will be able to keep all of your accounts up to date and to the penny. My only complaint is that I have written to the email given in the description and in the application three different times. A couple of times was a couple of years ago regarding questions about problems that I had, which I later solved on my own. Then I emailed about two weeks ago and asked a question and made a request. I have yet to hear back from that one either. Maybe my emails are going to their spam folder and they are just not getting them. I like to give people the benefit of the doubt. Either way, you really don’t need Customer Service now, because the app takes care of everything. I love having it conveniently on my iPhone, always with me. I love how it calculates my balance for me, without error! And I love how it remembers my recurring monthly payments and recurring deposits. (I saw where another reviewer said the recurring deposits don't work automatically like the expenses, but in fact it does! There's nothing dysfunctional about this app. I do wish, however, that it would be easier to click any item cleared or uncleared without having to open and edit each one. Makes balancing a much slower process, esp when I have so many! I also love how you can easily send a copy of the whole file to yourself or to your spouse or anyone else. I send a copy to my desktop to open in excel where I can easily resort by payee or by date or by category so that I can print year end reports for taxes. Saves me oodles of time, and a safe and quick way to backup data. 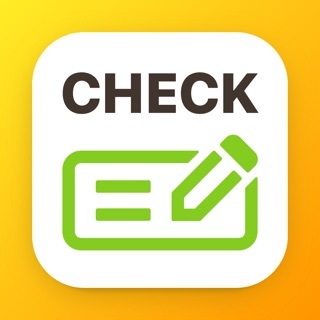 Thank you Checkbook App makers!!! However I do wish the exports included the check#s, PLEASE!!! The update does not resolve any of the issues that I’ve been emailing to this group about for months. After all this time just bug fixes. The app is better but it now clears automatic payments and it didn’t before. That needs to be fixed. I emailed the company June10th and they said they’re working on some changes so hopefully it’s soon. But I would rather clear automatic payments each month myself, as you can’t recall all automatic payments. I also wish they had better graphics with colors or you can add what you want. There is one more thing that would make it a lot better and that is memos. You could put in a few words but it’s very hard to see what you wrote. The memo area needs to be fixed in order to actually leave a decent normal short memo along with ability to edit it. I like to put down the name of the credit card I used and maybe a couple additional words. It also needs to sync with iCloud. When you go into back up and check it’s not one of the apps that syncs with iCloud. These changes would make it perfect. Thanks for this feedback. Sorry for the inconvenience. We’ve already fixed this. Please update to the latest version 3.3.1. If the error message still there, please refresh the App Store Updates page and try again. If you have any other questions please contact us at checkbook@appxy.com. We'll help to fix your issue asap. Copyright © 2015 Appxy. All rights reserved.